I will be turning 29 years old next week. To celebrate this, I’m going to slash the price of my newest book, Aerating The Mashed Potatoes, for one day only. On Tuesday, February 1, hard copies of Aerating The Mashed Potatoes will cost $11, and downloads will cost a dirt-cheap $2.50. If you’ve been holding off on buying a copy (or would like another one to go with it), February 1 will definitely be the day to do it. Even if you’re not interested, it would be fantastic if you sent this link to anyone you think would be. With your help, we can get this book into as many peoples’ hands as possible. Digital downloads can be shared with friends and you don’t need an e-Reader to view them, so buy one to keep on your computer or send to a friend as a gift. At $2.50, you can’t go wrong. 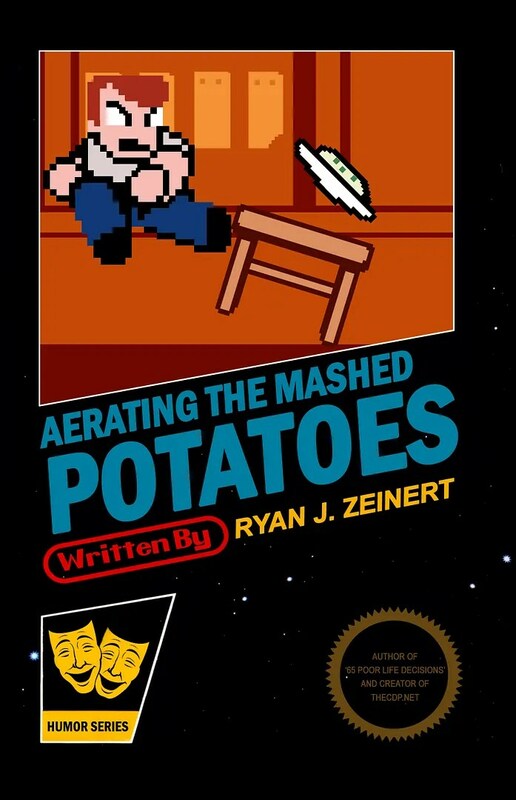 I should also mention that Aerating The Mashed Potatoes is a hilarious, 250-page essay collection that has received a ton of praise and acclaim, and I think if you read it just once, you’ll pee your pants and/or fall in love with me. Just throwing that out there if you’re still on the fence. If you prefer to buy an autographed copy directly through me, CLICK HERE. Thank you very much. Please Send/Facebook/Twitter this to anyone you think would be interested, and we’ll see you Tuesday. < Previous Everything Went Exactly As Planned. Next > The Funniest Book You’ve Ever Read…For $2.50? I laughed. I cried. I had to change my underwear…. You can use that as a blurb on the next printing.